Use a creative picture to be your Google Plus cover photo made by FotoJet, and you can make people impressed by your talent. 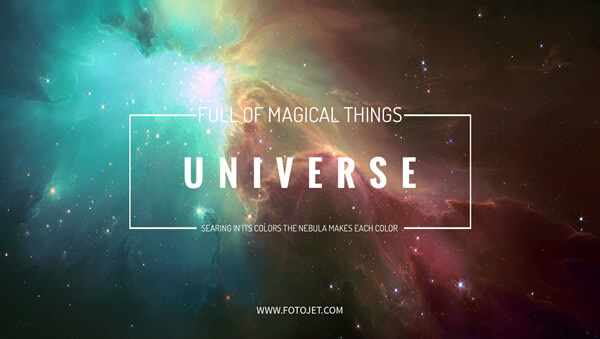 With this Google Plus photo editor, it's amazingly easy for every novice designer to create a universe Google plus image. Here are varieties of templates for you to choose from. Simply change into your own text and make the fonts customized, or add some clipart and replace the photo you want. With a few clicks, you can own an eye-catching Google+ cover photo.